Sold by the half-yard (18"L x 44"W) Fabric is uncut so multiple purchases will be shipped as one continuous piece. Brand: Exclusively Quilters Material: 100% cotton Weight: 3.8 oz./sq. yd. Sold by the yard (36"L x 44"W) Fabric is uncut so multiple purchases will be shipped as one continuous piece. Brand: Classic Cottons (Exclusively Quilters) Material: 100% cotton Weight: 3.2 oz./sq. yd. 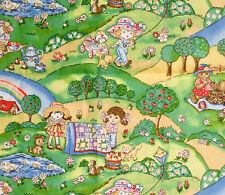 Size: 51"L x 44"W.
Exclusively Quilters Classic Cottons, 100% cotton fabric for quilting or crafts. 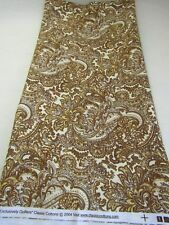 Brown and ivory paisley. 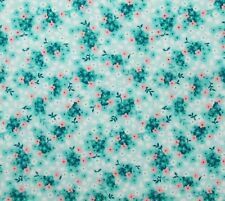 Sold by the half yard, multiples cut in one continuous piece. Exclusively Quilters Classic Cottons, 100% cotton fabric for quilting or crafts. Brown and ivory paisley. 27" long x 44W. Background is deep purple with purple & red grapes with shades of green leaves. Inherited my mother's "Fabric Stash" and have more yards than I know what to do with. Willing to combine "bulk" fabric orders.